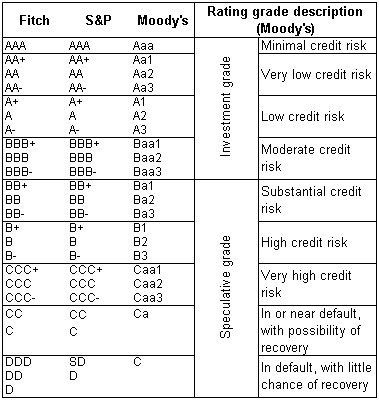 Rating agencies act as a “filter” regulating the movement of investment capital from developed markets into developing ones. The mechanism is simple – any rating assigned by the “Big Three” that is used by the head of a major investment fund affects the default risk. Actual business practice is often ignored. For example, the retirement accounts of America’s senior citizens can be invested into crazy foreign financial schemes, as long as their ratings are properly pitched. The rating system is designed so that cash from banks and investment funds passes only into the “right” hands under favorable terms. This creates a type of political road map for investors, which has little to do with the real macroeconomic indicators. But this does not stop the experts from the “Big Three.” “Imagine a large group of people arguing strenuously with each other,” David Levey, a former managing director of Moody’s, told Foreign Affairs. “It could sometimes get to that. These were very exciting meetings and often there were substantial disagreements. In every case, the ultimate decision was made by majority vote.” But were any of the people involved in these debates elected? And on what basis did they wield such influence? In 2011, this question was answered by William Harrington, a former senior president at Moody’s (a voice in the wilderness, indeed). “This salient conflict of interest permeates all levels of employment, from entry-level analyst to the chairman and chief executive officer of Moody’s corporation,” Harrington said in a filing to the US financial regulator, the Securities and Exchange Commission (SEC). 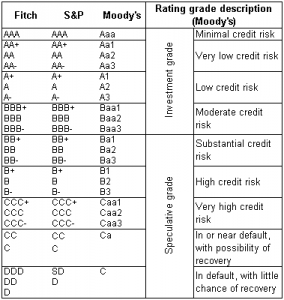 The myth that the rating agencies are a “global” business. At their own risk and peril, agency analysts evaluate the stability of the institutions of a sovereign player, on the basis of some kind of “global” paradigm of historical development. Not one of the agencies is entirely forthcoming about its methodology for assigning ratings. And this is hardly surprising – how else to explain high ratings to the press, given sovereign bankruptcies, in, for example, Iceland? The idea of global development, as part of a neoliberal world order, arose only recently (in the late 1980s) and is, like many ideological concepts, a political tool. The agencies, however, use this idea in all their documents, all the while professing objectivity. 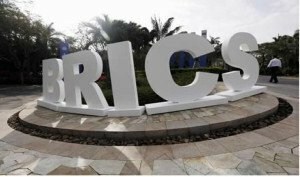 To evaluate developing markets, regardless of the local conditions, the “universal” IMF criteria are used, such as the degree of privatization and liberalization of the national economy. The crises in Latin America offer clear evidence of what happens when a government is prompted by the “ratings racket” to sell off its liquid assets during a period of financial instability. For example, in February 2015, the rating agency Moody’s downgraded the credit rating of the Brazilian oil and gas company Petrobras from Baa2 to Ba2, and as a result the company plunged from “investment grade” to “speculative.” The influential Brazilian edition of Jornal do Brasil calls that decision “absurd and premeditated robbery” and asks – what is more significant, the three million barrels per day produced by Petrobras or the opinion of a group of anonymous Moody’s analysts who upheld Greece’s high rating until the bitter end. It has long been noted that if a more or less sovereign government comes to power in a country that has been exhausted by the neoliberal economic programmes, the “Big Three’s” ratings begin to drop as if by magic. The most remarkable story in recent times has been seen in France. In 2012 the French market, one of the most highly developed in the EU, found itself on the rating agencies’ “bad guys” list, due to its “incorrect” tax policy and the government’s refusal to relegate its local culture to the mercies of the anonymous forces of the financial market. According to the journalist Édouard Tétreau, (Le Monde) in his article “The United States of Europe vs. the dream of Standard & Poor’s,” ratings are manipulated in order to “Balkanize” Europe. To counter this, he prescribes the creation of real banks in Europe that can “send the brokers on Wall Street and the City of London packing.” During the assaults on the EU’s credit, Antonio Tajani, a former vice president of the European Commission, told El País that the rating agencies “work for the dollar.” In short, when it comes to evaluating the real economic indicators, old Europe is doing its best to distance itself from the ratings. Among Europe’s “good guys,” the rating agencies list only the minuscule economies of the Baltic states of Lithuania, Latvia, and Estonia, which in 2014 received upgraded investment ratings from S&P for their progress in tax reform. In the US, the “Big Three” are evidence of the miracles of lobbying. On January 12, 2003, the state of Georgia passed strong anti-fraud laws drafted by consumer advocates. Four days later, Standard & Poor’s announced that if Georgia passed anti-fraud penalties for corrupt mortgage brokers and lenders, packaging including such debts could not be given AAA ratings. S&P’s move meant Georgia lenders would have no access to the securitization money machine. It is interesting that this situation arose five years before the time bomb known as the subprime crisis went off. New, transnational rating agencies, such as the Universal Credit Rating Group (UCRG), will be an important milestone in the rating market. UCRG was created in 2012 as a partnership between the Chinese rating agency Dagong, Russia’s RusRating, and United States’ Egan-Jones. The fundamental principle behind the formation of new transnational actors must be the requirement that they are unbiased and unaffiliated with any state or corporate entity.